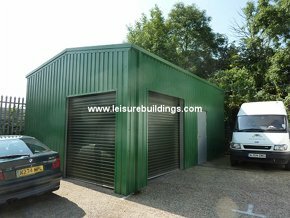 The beauty of our Capital Steel Buildings Light Industrial buildings is that they can come more or less in any size, width or height. You can a large number of roller shutter doors sizes or personal doors which can go where you would like. You can have open fronted building or with the side walls shorter to go onto your perimeter walls. Click on the following for a price guide to the following buildings. with roller door 2.4 x 2.0m (8ft wide x 6½ft) and high security personal door. 2.4m eaves height. Prices include gutters, downpipes and ridge, eaves and base foam fillers. Option for skylights. February 2017. Delivery £200 unless delivery can be made on Articulated lorry. You can have a full range of roller shutters doors and personal doors, which can be any height and can be positioned to suit your needs. 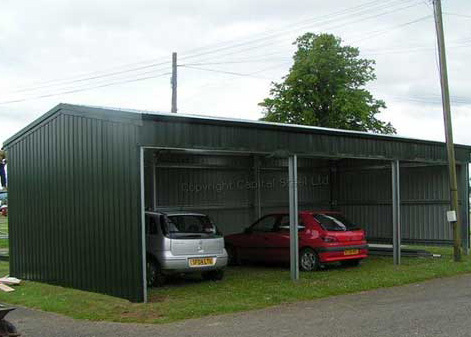 Capital Steel Farm buildings and rural metal storage units are suitable for all range of farm or rural life use. These buildings are constructed in solid cold rolled high tensile steel using portal frame technology, this ensures that the finished steel building is superbly strong, durable and can be any width you choose. 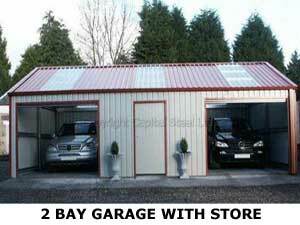 These units can be enclosed, open or a combination of both with option for vented roofs for superb ventilation. 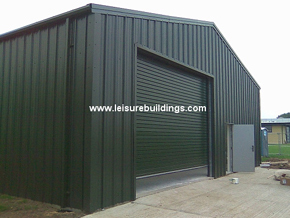 Generally farm buildings are specific for each user so we are able to offer a specialised and innovative design service. We can supply the exact metal building, barn or field shelter to meet your needs, with the doors – or openings – to your width and height with the optional PA door. Prices include gutters, downpipes and ridge, eaves and base foam fillers. Option for skylights. Februry 2017. Capital Steel Buildings are suitable for full commercial use and for light industrial use, as well as a range of other industrial storage uses. 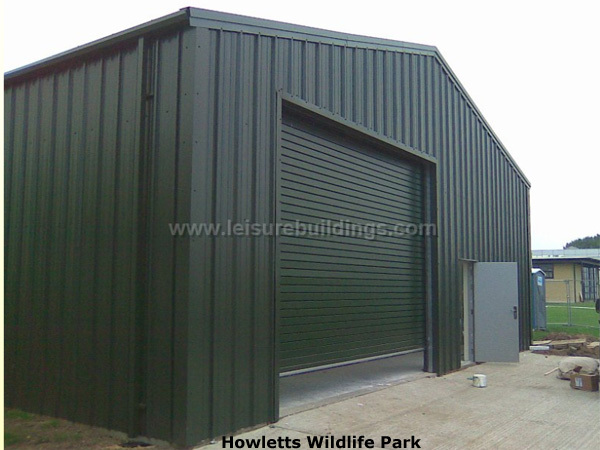 Constructed from solid cold rolled high tensile steel using portal frame technology, this ensures that the finished industrial building is extremely strong, durable and can span long distances. OPTION to include partition to give separate central store. Prices include gutters, downpipes and ridge, eaves and base foam fillers. Option for skylights. Febuary 2017. 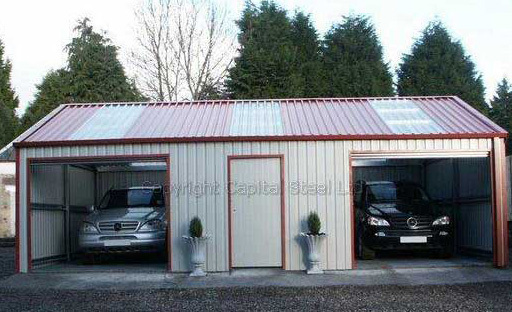 Capital Steel industrial buildings are available in many size and can fulfil the largest jobs. We have supplied include PLC’s, Power Stations, Oil refineries, Prisons, Museums, MOT Bays, London Underground besides many other large businesses. These buildings are constructed in solid cold rolled high tensile steel using portal frame technology, this ensures that the finished steel building is superbly strong & durable. Generally Industrial buildings are specific for each user so we are able to offer a specialised and innovative design service. We can supply the exact industrial, warehouse of steel building to meet your needs, with the doors – or openings – to suit.